I have been loving this blueberry season. These little blue gems are so cheap in the grocery store right now, that I have been eating them until they are coming out of my ears. 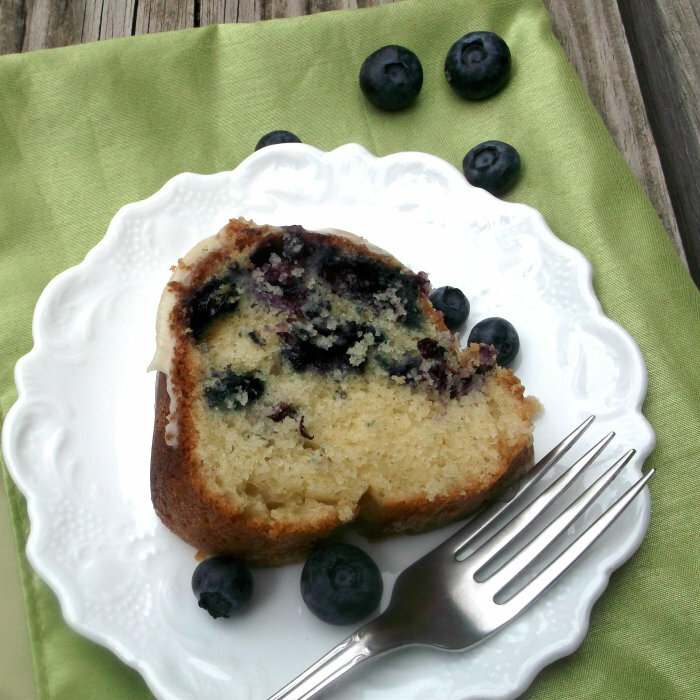 I even made this tasty blueberry coffee cake for the guys in the house. Coffee cake is always a welcome treat in our house on Sunday morning. 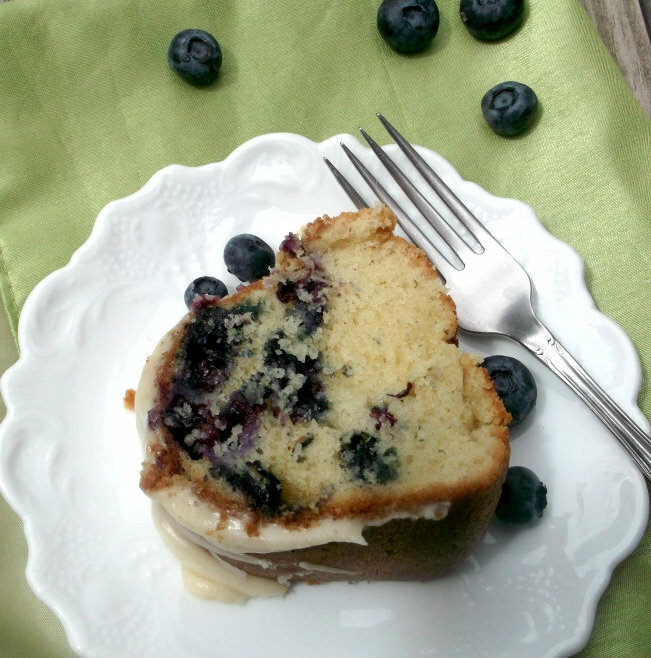 This buttery based cake with the fresh blueberry was a happy surprise for the guys in our house. The cake is nice and moist and continues to get a little more moist each day, if it lasts that long. This recipe may be called Sunday Blueberry Coffeecake, but trust me it will be a welcome breakfast treat or afternoon snack any day of the week. In a medium bowl cream butter and the sugar until well incorporated. Add the eggs and vanilla and beat until fluffy. Add the sour cream and beat until the batter is smooth and fluffy. In a separate bowl, combine all of the dry ingredients, and add then add dry ingredient to the batter and partially mix together. Add the buttermilk and beat until you have a smooth batter. Add the blueberries and gently fold them into the batter. Pour into a 10-inch bundt pan that has been greased and floured. Bake in a 350 degree oven for 50 to 55 minutes or until a pick comes out clean. Let cool in the bundt pan for 10 minutes to cool and remove from pan and continue to cool until completely cooled. In a small sauce pan melt the butter and continue to cook over low heat until it turns a golden brown color. When it reaches this color take it off the stove and set aside. In a small bowl whisk together the powder sugar and the vanilla and then whisk in the brown butter. Thin out the glaze with milk until it is the right consistency. Drizzle over cake. I love blueberries too! And you’re so right that they’re attractively priced at the moment. Lovely coffeecake – truly good stuff. Coffee cake is always welcome in my home 🙂 And one including blueberries is worth baking. I agree, I’m enjoy the blueberry season too. 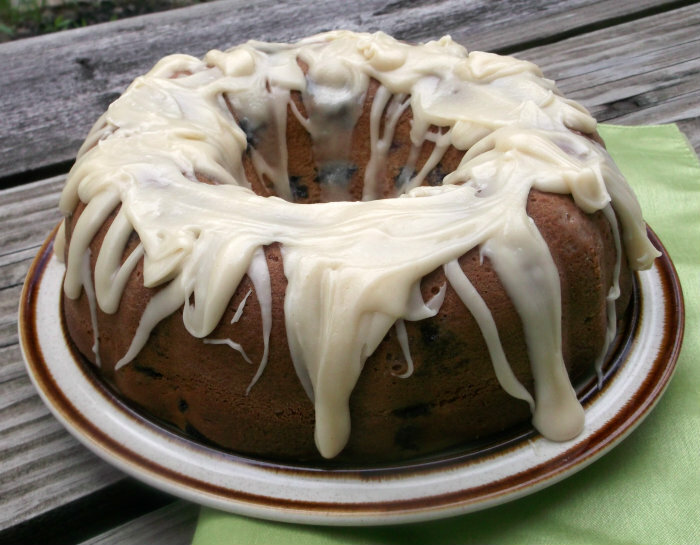 Your blueberry coffee cake is so gorgeous. 🙂 Perfect for afternoon tea.